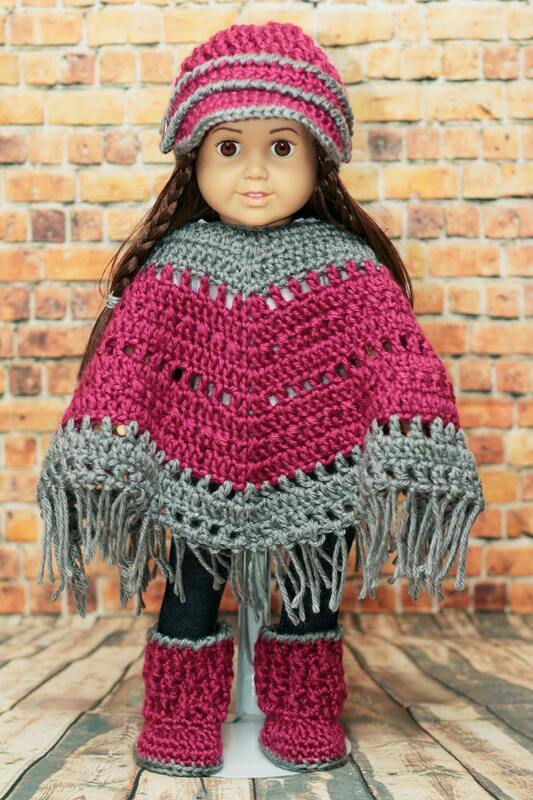 This crocheted Poncho/Hat/Boots set is done in soft worsted weight acrylic yarn in Pink & Grey. 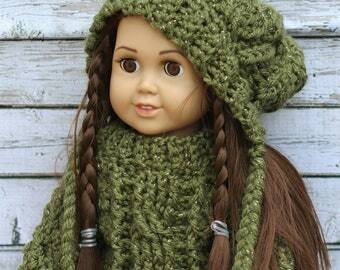 Poncho easily slips over the head and is the perfect size for American Girl or similar 18" doll; poncho can be worn 2 ways. What little girl wouldn't love this adorable set for her "baby"! Like the poncho, but would prefer a different color? Contact me...I love custom orders!